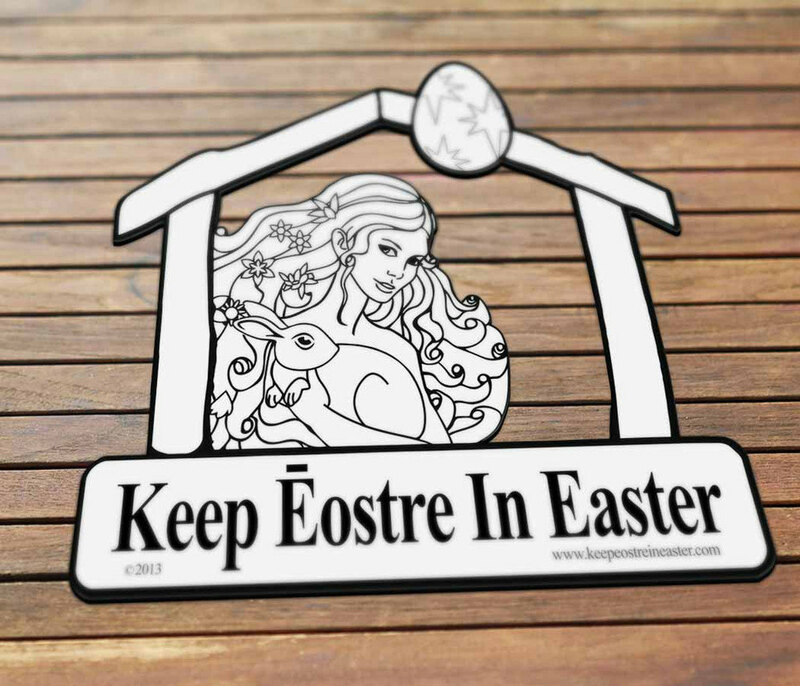 Keep Eostre in Easter - The Car Magnet! NOW UNITL EASTER - FINAL SALE! $6.95 w/ FREE SHIPPING! 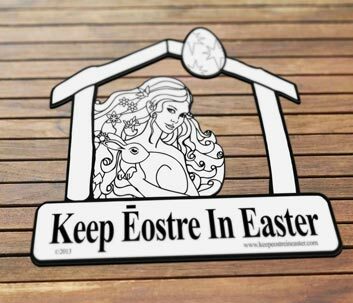 The Keep Eostre in Easter car magnet measures approximately 6.25" x 7", roughly the same size of the "Keep Christ in Christmas" that this product parodies. 100% for a great cause! 100% of net proceeds from this product are donated to Freedom From Religion Foundation. A recognized 501(c)3 non-profit organization dedicated to promoting the constitutional principle of separation of state and church. FFRF boasts the highest "4 star" rating from Charity Navigator. I got my magnets in the mail a few days ago, and I LOVE them! They're so much cooler than the [Keep Christ in Christmas magnet]. I'm putting one on each of my vehicles. They'll look great next to my FSM decals! Thanks, Alex!. It's always encouraging to know that there are people like you taking the extra steps in the seemingly never-ending battle against dogma-based "thinking." Thank you for what you're doing. At times it's hard to tell, but I do believe the tide is slowly turning toward a more rational and truth-based approach to improving the quality of life for humans and other beings on the planet. Received my magnet yesterday --- I'm thrilled! ... Now I have to run out and wash my car so she has a pretty background! I ordered 2 magnets! Keep up the good work - I look forward to other things you produce. Your site is excellent - so clear & easy to use. I ordered a Keep Eostre in Easter magnet and it's awesome. I love intelligent parody like this. 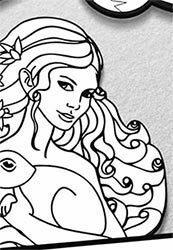 I just received my order for 3 Keep Eostre in Easter magnets and they're great! Thanks! 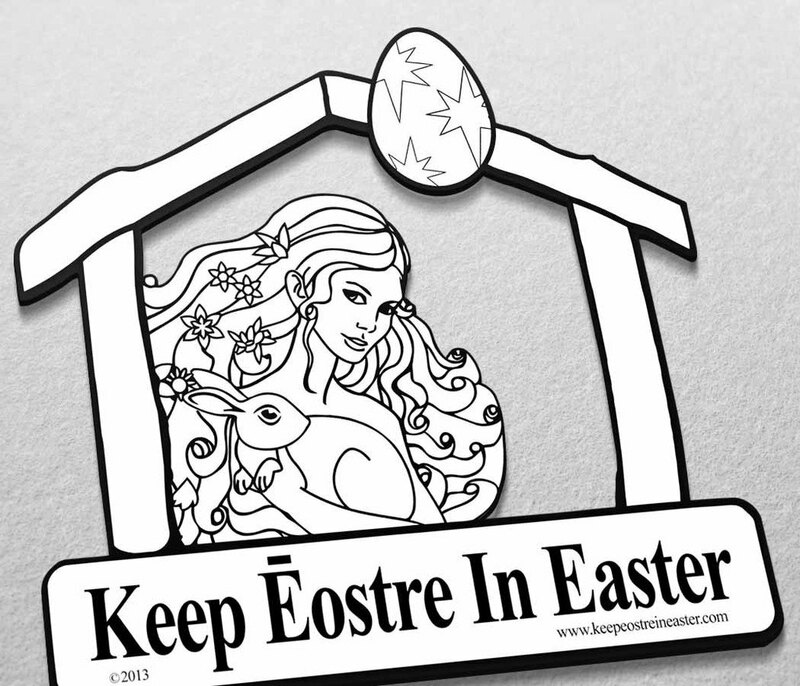 Learn more about the Keep Eostre in Easter car magnet. "I think that believers get too hung up over the fact that the word "Christ" in Christmas. After all, arguably the second biggest "Christian" holiday is Easter. Easter derives its name from the Pagan god of fertility Ēostre. What do eggs and bunnies have to do with the resurrection of Christ anyway? I've heard that the egg symbolizes an open tomb, which is a bit of a stretch. But what about the rabbit? I don't know..."
Want to see more product images? I've got excellent photos detailing the product to show off its amazing quality. I print the magnets 100% in the USA. 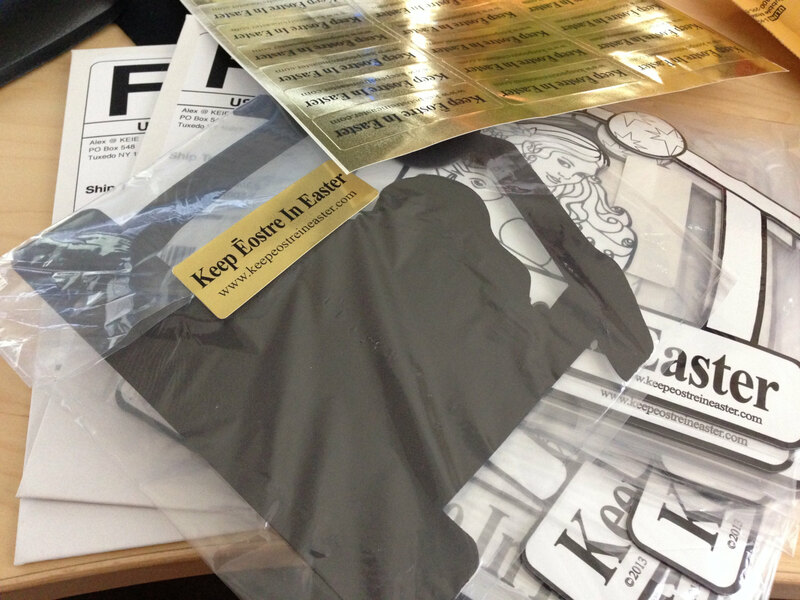 And then each product is inspected, packaged and sealed by hand by me. These photos document the process and give you a great look at the quality of the item. Check out the photo slideshow to view the handmade, handcrafted nature of the product. Measures approximately 6.25" x 7". Thick 30mil magnet vinyl, totally weatherproof. Printed 100% in the USA and packaged by hand by me! Ships securely in sturdy "NO-BEND" mailer via USPS with tracking number. 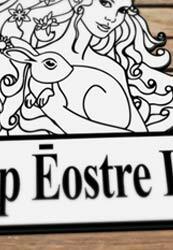 The Keep Eostre in Easter magnet isn't just a "magnet". It's a car magnet. Sure, it will look lovely on your fridge, but it is incredibly well made and extremely durable and ready to withstand the punishment of clinging to your vehicle throughout every season. It's made with special ink designed to withstand extreme heat/cold. Snow, rain, wind, mud, bumps? This thick well made magnet will last just about everything! As Featured in "Freethought Today"
The "Keep Eostre in Easter" car magnet was featured in the January/February 2014 edition of "Freethought Today"
Good Without God? Of Course! Where I live: Tuxedo Park, N.Y.
Where and when I was born: New Jersey, 1986. Education: Bachelor’s in mathematics, State University of New York at Purchase. How I got where I am today: I am happy with what I have achieved in my life thus far, but I know that I am still young and want to continue to do more. I have been able to manufacture my own luck through hard work, dedication and believing in myself. I have also been fortunate enough to have loving friends and family. I have a spectacular wife, Lia, who has always been supportive of all of my endeavors, as well as many friends, both religious and secular. Person in history I admire: Although it may seem cliché, the person who stands out for me is Christopher Hitchens. Hitchens was simply amazing; he had incredible wit and brilliance. It was common for me, while reading his books, to go from laughter to rage, all within the same paragraph. He was able to wield a mastery of the English language and combine it with incredible logic. It’s because of this talent that his legacy will always live on. He put together some of the most powerful arguments against organized religion and did so in a succinct, beautiful and wonderfully unapologetic way. These are a few of my favorite things: Tarantino movies, /r/atheism and /r/TrueAtheism [online atheist forums], fantasy football, mixed martial arts, the Flying Spaghetti Monster and designing and programming websites. I also enjoy debating the existence of a higher power with my “BFF,” who is a devout Christian. We are both comfortable with who we are. These are not: Those stupid “Keep Christ in Christmas” car magnets! They drive me absolutely crazy. Many Christians chant “Keep Christ in Christmas” as if the name signifies that the holiday belongs to them. We atheists know that the true spirit of the holidays is giving presents, spending time with family and listening to your drunk uncle explain how Barack Obama is actually the Anti-Christ. Christmas, like most Christian holidays, is adapted from the pagan holiday that preceded it. 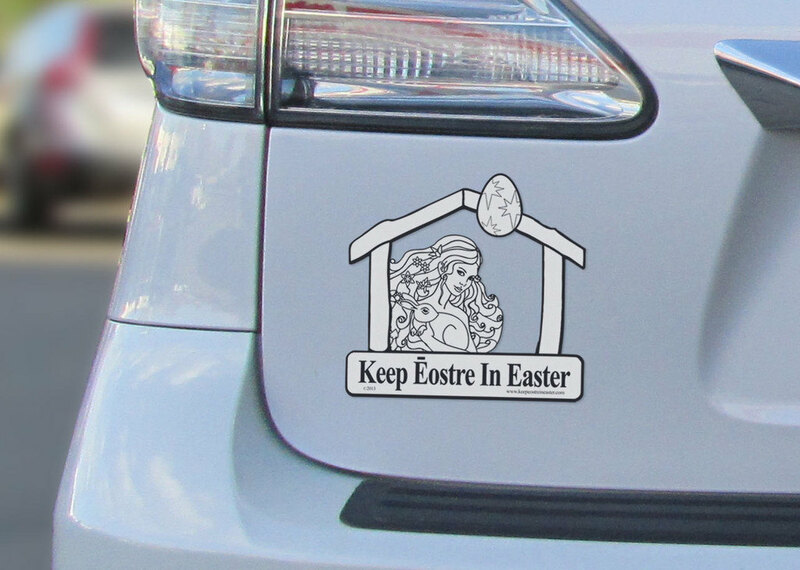 This fact led me to create my own parody car magnet entitled “Keep Eostre in Easter.” It’s a subtle jab at the ubiquitous symbol. 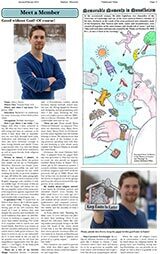 I created a website (keepeostreineaster.com) to sell the magnets, and 100% of all the proceeds will go to FFRF. Please feel free to buy one (or several) so I can get the boxes of magnets out of the garage and keep the aforementioned wife supportive of my endeavors! My doubts about religion started: I was raised by Christian parents and attended church every Sunday for bible study from a very early age. 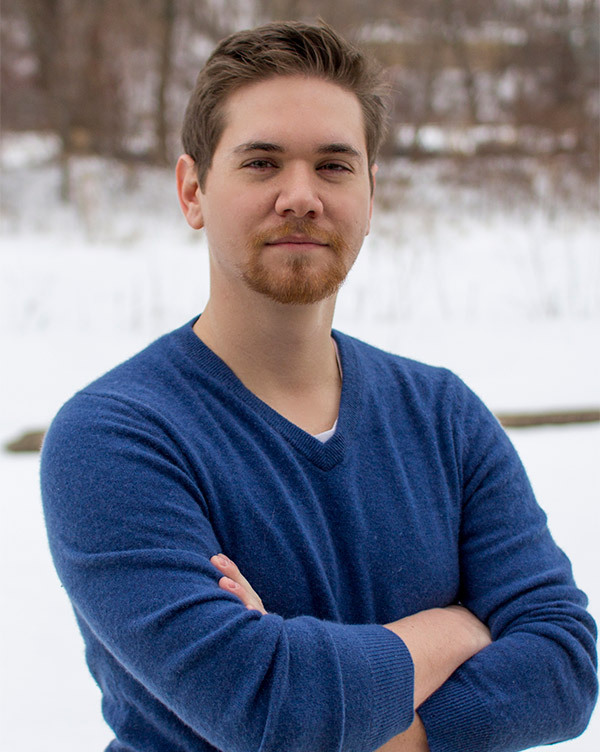 As I got older, my love of critical thinking and analysis led me toward a career in mathematics and computer science. This same analysis also led me to doubt the validity and the morality of what I had studied. This transition was eased by parents who, while they didn’t agree with my observations, always remained supportive and respectful. Please, pleads Alex Fierro, keep the pagan fertility god Eostre in Easter! Ways I promote freethought: By trying my absolute hardest to live a good, pure life. I donate to charity, I read, volunteer when I have time and always try to be as generous as possible and treat others with kindness and respect. I do this all as an unapologetic atheist. We’ve all seen car magnets claiming to “Keep Christ in Christmas”, but I never really understood it. Personally, I don’t believe in Christ, but when someone comes up to me and says “Merry Christmas!”, you know what I reply with? I say “Merry Christmas to you too!” I can’t speak for everyone, but most non-Christians I know really don’t care about the term “Merry Christmas” all that much. But with that said, I believe in tolerance, so I prefer “Happy Holidays”. This way it includes everybody, no one is left out. We all celebrate this time of year, Christians and non-christians alike. Some people some how get highly offended by this, believing that using a generic gesture of goodwill is some how diminishing “their” holiday. Christians celebrate Christmas to commemorate the birth of Christ, but these Christmas celebrations actually predate Christ by hundreds of years. Whether we call it “Christmas”, “Yule”, “Koleda” or “Saturnalia”, Winter Solstice events have been celebrated annually for centuries before Christ was even born. It’s easy to call Christmas a “christian holiday” when you only consider the name. You don't need to believe in Yule, the Scandinavian fertility god, to enjoy the tradition of Yuletide carols and greetings. You don't need to believe in Wicca to enjoy the tradition of wreaths or decking the halls with holly. You don't need to believe in the god Saturn to enjoy the tradition of decorating a Saturnalia tree in your home. So why can’t I celebrate Christmas without believing in Christ? Many people chant the “Keep Christ in Christmas” rally cry as if the name signifies that the holiday belongs to them. The true spirit of the holidays is giving presents, spending time with family and listening to your cousin explain how Barack Obama is actually the Anti-Christ. Christmas is all our holiday, we can all enjoy it whether or not Christ is a part of it. Being more open to "Happy Holidays" isn't diminishing Christ's role, it's being more accepting of everybody's beliefs and being respectful to your neighbors. Christmas is more than a religious holiday, it’s the most wonderful time of the year. The name of the holiday means nothing, it’s the spirit of the holiday that makes it special. We freethinkers can show that the holidays mean more than just their names by reminding our Christian friends and loved ones to keep Ēostre in Easter. This is “our” holiday, to signify our beloved Germanic Paganist goddess of fertility Ēostre as we celebrate the Spring Equinox and the bountiful crops with signs of fertility, eggs and rabbits. Easter was founded on good Pagan morals; we cannot continue to whitewash and hide the true Germanic Pagan meaning. Remember, the name Ēostre is in Easter! 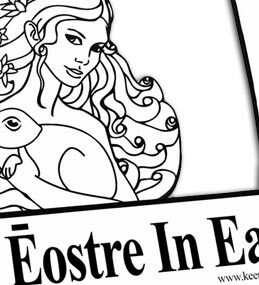 Take a look at the Keep Eostre in Easter car magnet and proclaim the true spirit of the holidays. 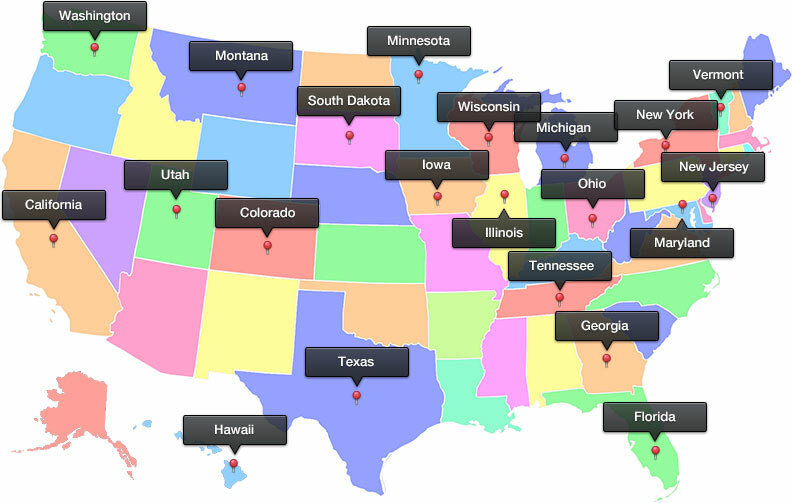 Don't see your state listed? Then you should purchase a magnet today! Be sure to LIKE us on Facebook to be the first to know of all updates and special offers! ©2014. Sites Done Right, LLC. A New York Limited Liability Company. All rights reserved. *This website and product is not affiliated, endorsed or sponsored by the Knights of Columbus Council. The "Keep Christ in Christmas" magnet design and image is copyright of Knights of Columbus Council, 2007. 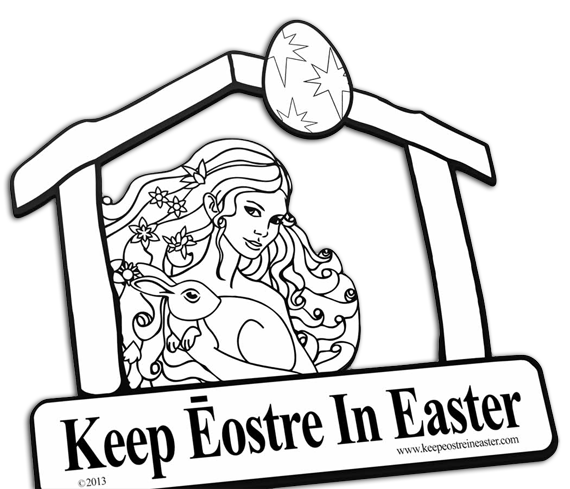 The "Keep Eostre in Easter" design is a derivative work to serve as a parody the Knights of Columbus magnet. 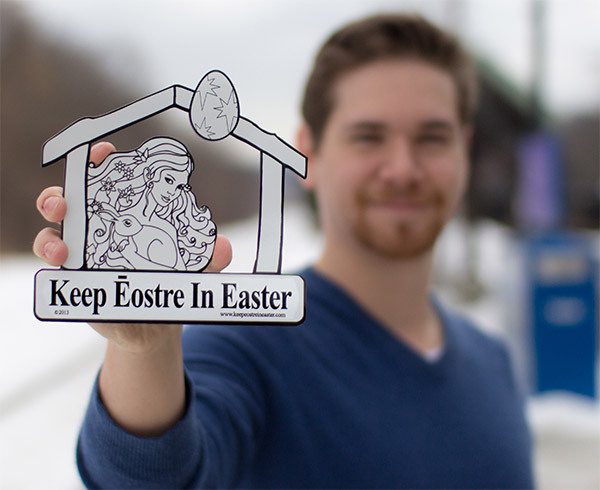 "Keep Eostre in Easter" is produced and distributed by Sites Done Right, LLC to provide a commentary on the self-proclaimed "evangelization" message the Knights of Columbus intends with their "nativity car magnet".